Adam Sandler comedy 'Jack and Jill' has just been released on DVD and Blu-Ray, and we have 5 copies to give away to our readers. 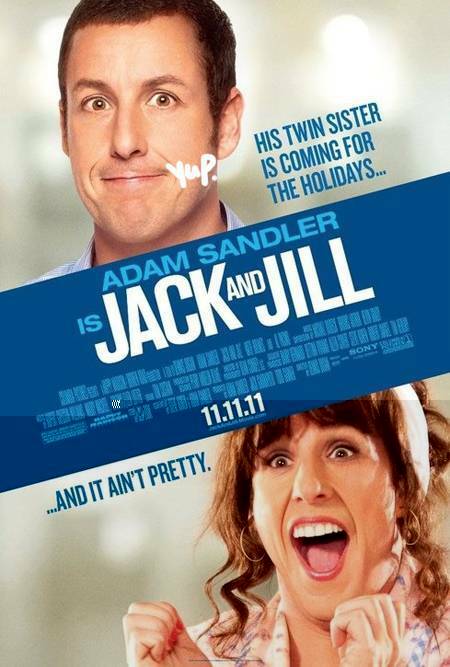 Jack and Jill is a comedy focusing on Jack Sadelstein (Adam Sandler), a sucessful advertising executive in Los Angeles with a beautiful wife (Katie Holmes) and kids, who dreads one event each year: the Thanksgiving visit of his identical twin sister Jill (also Adam Sandler). Jill's neediness and passive-aggressiveness is maddening to Jack, turning his normally tranquil life upside down. To enter the competition to win one of 5 DVDs or Blu-Rays, all you need to do is tweet us at @twinklemagazine with your favourite Adam Sandler movie and why. Get tweeting! Closing Date is 6th July. When is/was the closing date?